My friends always forget that I’m vegetarian because I’m not necessarily vegetarian for ethical reasons. The primary reason is allergies. Yes, ultimately, what I’ve found out is that I’m allergic to meat. People who know me in person know me as the person who is allergic to everything. This was BEFORE my meat allergy. Let me sing you the song of my people. By people, I mean those whom are allergic to life like me. Add in meat and my diet and lifestyle had to be seriously changed to accommodate my allergies. It’s been really tough going to restaurants with friends, and cooking for my friends and family who are not vegetarian. Vietnamese food is mainly centered around seafood, pork, and beef. Vietnamese people love their meat, and who can blame them? With the amazing street food, and the entire country being almost one massive beach, fresh seafood is so easy and cheap to fill your bellies. Of course, there is a huge vegetarian community as well. With homeopaths and Buddhist communities, vegetarian food has to be somewhat available and accessible to the public. With tons of tofu and beans, being vegetarian isn’t impossible in the Vietnamese community, it’s just hard. 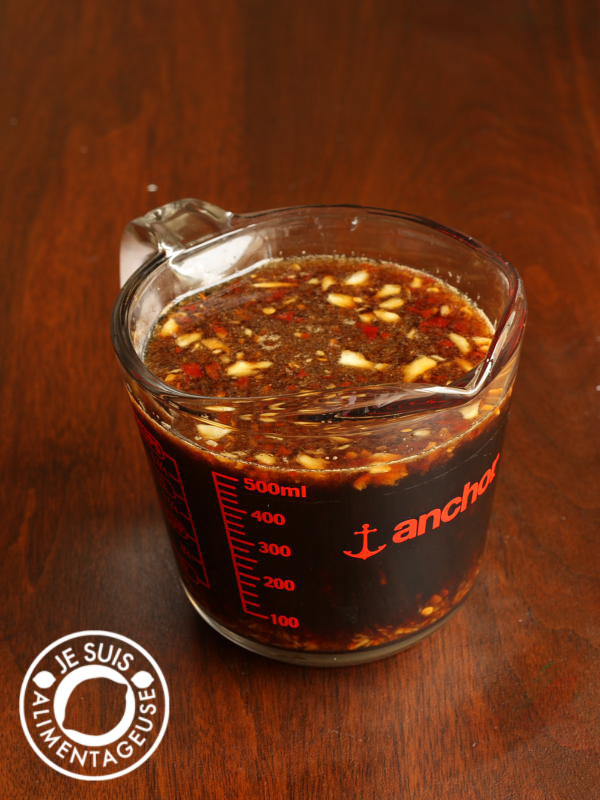 The first thing that makes it easier, is this sauce, nuoc mam chay [vegetarian salted fish sauce] . Vietnamese cooking often has fish sauce or dipping sauce with a fish sauce base (nuoc mam[salted fish sauce]), and having this vegetarian dipping sauce makes it so much better. 2 tsp chili paste OR 1-2 whole red chilies, mashed with some of the sugar. Mash together garlic, chili, and sugar with a mortar and pestle. The sugar helps absorb the oils from both the chili and garlic so you don't leave any behind in the mortar. If you don't have a mortar and pestle, press or finely mince the garlic and then finely dice the chili. It won't be quite the same in the end but it'll do. Transfer the sugar paste into a large jar and add the boiled water. Stir to dissolve sugar. Add the soy sauce and lime juice and mix. Adjust if you like it saltier (more soy sauce), spicier (more chili paste), etc. If you really like garlic, use 5 cloves, if you don't love it, just use 2. Awesome. You might want to talk to an allergist. There is some research to show that allergy shots can help get rid of oral allergy syndrome. Just an FYI because I wished I knew that sooner so I wanted to share! Thanks Jill! I saw an allergist when I was in high school and I actually take antihistamines every day. I did allergy shots way back in the day but they wore off too quickly and weren't as effective as the daily pill. You. Are. A. Goddess. You don't know how long I have been trying to figure out how to make Vietnamese and Thai dishes without fish sauce. Heaven is in my kitchen tomorrow at about 6. What kind of chili paste is pictured here? It's like a homemade chili paste—but you can find the same kind of chili paste in Asian supermarkets. Typically either just chili, or chili + garlic. I'm pretty good googling things. More than prretty good, actually. But no matter what I do, I canmt find a vegetarian recipe of fish sauce that is *not* the dipping one. I want one for my pho. I canmt mix fish and meat, so I need a vegetarian equivalent, but all I can find is the dipping one... Anyone had better luck? Miyoko Schinner's book "The Homemade Vegan Pantry" has a recipe for fish sauce that isn't a dipping sauce. How long will this last in the fridge?Thanks! I usually keep it for about a month. That's probably not foodsafe though haha but I'm fine. Very good! I subbed half the water with rice wine vinegar, used tamari instead of soy sauce, and threw in a extra citrus and lots of fresh thai chiles. Threw it all in a blender and it worked like magic! 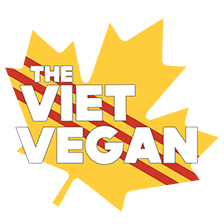 Just returned from Vietnam and looking forward to more vegetarian (chay) recipes. Thank you so much for the Nuoc mam chay recipe. I took my three granddaughters to Vietnam and was going to try and cook Vietnamese food and one of my granddaughters just told me, I don't like that fish sauce, so your recipe is perfect. Can I ask how long this lasts in the fridge please? Thank you for recipe, my son seafood allergic. 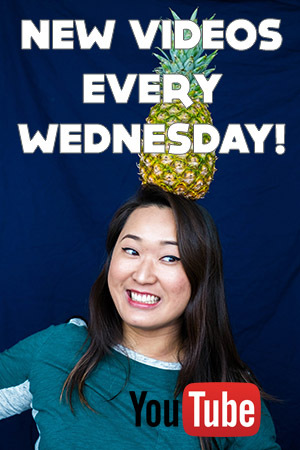 Hi Angela! Because of the salt & sugar content, I've kept this sauce in my fridge for months. I don't know if that's technically food safe but I do it and I seem fine haha. Hi Lisa, thanks for the yummy-looking recipe! This looks like it makes a lot; is it about 2 cups? I might try halving the ingredients. I'm going to make the Burmese Tofu Crispy Dippers from Mary's Test Kitchen, and I think this would go well with them. Hiya! Yeah it's just over 2 cups :) It lasts a while in the fridge though, I keep it for months at a time because of the amount of sugar and salt in the recipe. Hi there! My video uses the same measurements that is in this recipe. If you look at the measurements on the side of the cup, you can see how much it is. In the photo here, I'm using a 2 cup measuring glass, in the video, I use a 1 cup glass for the soy sauce. Hi Anna, I don't have a specific time that would be "health and safety" approved, but the amount of salt and sugar in this means it stays good in my fridge until I use it up. That usually takes me a few months, and we haven't gotten sick from it yet haha.